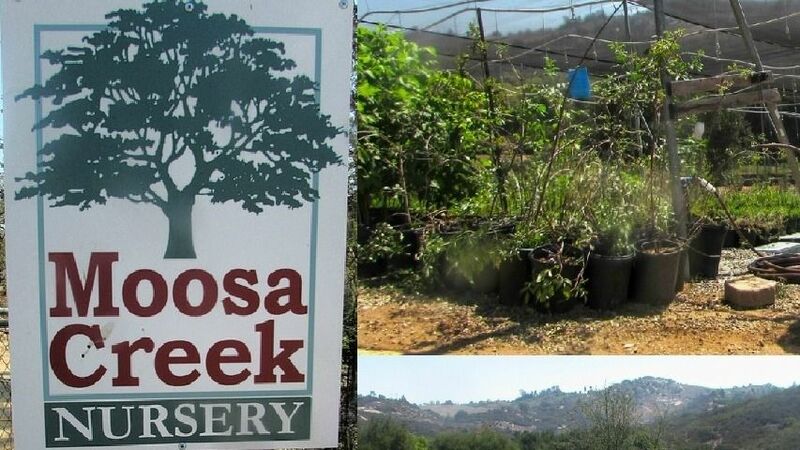 This year, we've got another late fall / early winter tour of Moosa Creek Nursery in Valley Center, where all the magic happens for many of the native plants you can find at many retail nurseries (Walter Andersen, Mission Hills nursery, City Farmers, more) from San Diego to LA. Last year, Owners Su & Hank Kraus showed our group extraordinary access to the grounds-from the seed shed to the greenhouses, potting/cloning areas, soil/mulch mix, and main nursery grounds. Locations and methods to be seen will be up to the tour guide. Before I get into the main description, this trip includes driving on Truck Trail dirt roads. Cars can make this trip ok, but bear in mind that mud, rocks, rockslide, and branches are expected hazards on the Truck Trail. 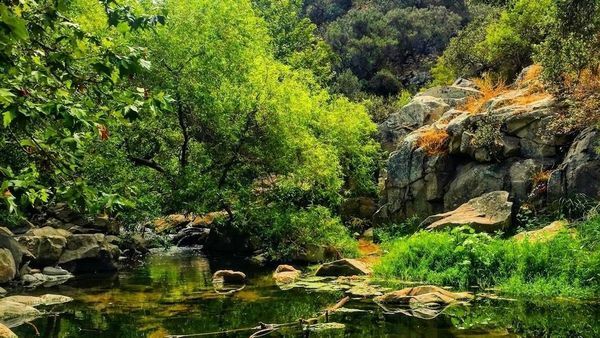 The Santa Ana Mountains will be a new place to pin on our growing list of locations trekked, this one at Tenaja Falls, a Riverside County favorite location to dip in the summer. In the winter, there will (hopefully) be a wide array of lichens, mosses, liverworts, and of course plenty of native vascular plants (ferns included!). Some rare species I hope to encounter are Western spleenwort (Asplenium vespertinum), Rainbow manzanita (Arctostaphylos rainbowiensis), and Fish's milkwort (Polygala cornuta var fishiae). Hopefully the forecast holds and we can get a good early season soaking (maybe not on the plant sale day, but after). In early November, we'll be headed down a little known goat path into the least traveled portion of Rose Canyon, near the 805. There are many environments and habitats down there seldom walked by hikers or bikers. From urban chaparral canyons to coastal sage scrub bluffs and down into the many stepped riparian environments of Rose Creek, we'll aim for a loop down the canyon and back, stopping on what flora and fauna catch our eyes. For late summer this year we'll be headed back to school on a Saturday. 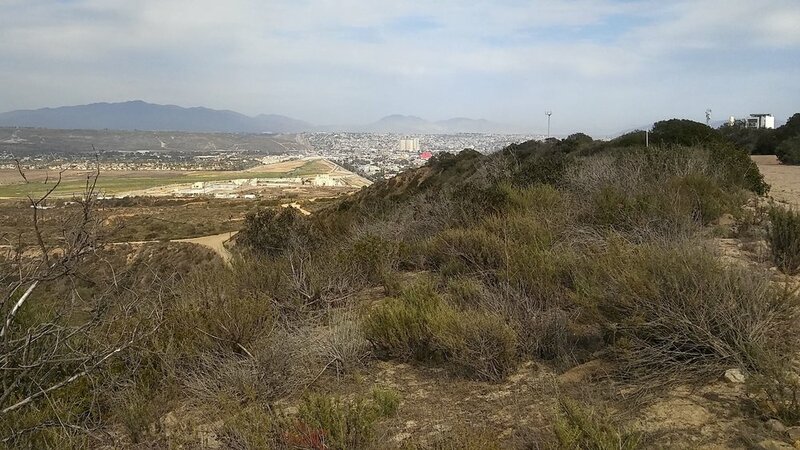 Finney Overlook is a very discrete, often... overlooked, trailhead into the Otay River Valley in South Chula Vista / North Otay Mesa where we'll be checking out riparian species and coastal sage scrub, with a small peek into some maritime succulent scrub. When I was last here, there was an interesting array of natives from rare species like Palmers grapplinghook (Harpogonella palmeri), San Diego sagewort (Artemisia palmeri), (Cal. boxthorn) Lycium californicum, and some very out of place Sea dahlia (Leptosyne maritima), to the not so rare Willows (Salix sps), Goldenbush (Isocoma menziesii), buckwheats (Eriogonum sps), Beavertails (Oputnia sps), and others. Punta Colonet & San Quintin Bay, Baja California - MEXICO! Very special destinations on a cross border camping adventure! CNPS San Diego, in coordination with the CNPS Baja California Chapter will be joining for an international field trip on the Colonet Mesa and about the Northern Baja California Coastal Peninsula. With Josue Campos of RECON and Sula Vanderplank as our guides, we'll be taking a look at the maritime succulent scrub, vernal pools, and salt marsh areas around San Quintin, South of Ensenada. This is an annual trip, with the path ahead only slightly different from the previous trips. This time, we'll take the path down to the weir once more, but this time we'll focus a little more on French Valley, exploring further in for early summer bloom. The oak woodland path back through the campground to the parking lot won't be the end of this trip. We'll eat lunch at Doane Pond and then decide whether to head for the dogwoods (Cornus sps) up the Doane Valley or go to the rim trail at the upper lot from the Ancient Cypress grove. I expect there will be a lot to see even though Palomar mtn has only gotten less than half the usual rainfall this year (normal is 30+ inches). For anyone that is unaware of the history of Cuyamaca State Park and the Cleveland Nat'l Forest in San Diego County, the 2003 Cedar Fire devastated the yellow pine forest that covered Middle peak and Cuyamaca Peak. Since then, the park has gone through many phases of renewal and out of balance response cycles. In addition to the many montane and chaparral native plant species we'll find on the long trail, we'll take an in depth look at natural and human-driven methods of recovery. This is an interpretive walk over a great breadth of a place that is very special for many reasons. May is the time to check out Mt. Laguna and its many trails covered in pine forest and high elevation chaparral. This year, we're looking for resilient treasures in bloom like mariposas, cinquefoil, monardellas, meadowfoam, ceanothus, and on and on. For those of you who made it along the Sunrise Hwy with us in June of 2017, we welcome you back to examine a few of the same locations again and another short hike in Filaree Flat that has not been very well documented botanically. With the great knowledge and assistance of Fred Roberts, we'll find any Calochortus species in bloom and check out all the others that might catch our eye. This trip is focused on bringing educators out into the wild to cover a wide variety of contemporary topics like climate change, regional planning, natural resource management, biological diversity, and fire science. Also, we will have an open discussion and short lectures of natural history, genetic drift, and annual to geological changes. If you are an educator in Southern California, join us for a pleasant walk in an area that is perfect for potential field trips. Tailor your questions to how to relate to your students or audience, or just come along to spectate in fresh air. From the trailhead at Oak Oasis Rd (Large parking lot with restrooms), we'll be heading though the chaparral and discussing drought specialization and fire adaptations. The Chaparral has rare plants, with Oak Oasis being the central core for CNPS 1B.2 Lakeside ceanothus (Ceanothus cyaneus). Hopefully we'll come across blooming mariposa lilies and other flowers. We'll go over the ranking system for rare plants and animals briefly and reference our wildlife agencies and the laws they must abide by. Carpool will be not available on this trip unless specifically requested. This venture is tailored for an outing with the Teach For America Program and East County educators. Ten are signed up through a separate program. Apologies for the small sign up list. Del Mar Mesa is a large Preserve in the exclusive area East of Carmel Valley adjunct to Rancho Penasquitos Canyon Creek. The 900 acre Preserve came out of tough negotiations with the landowners and the governmental agencies and houses dozens of threatened and endangered animal and plant species. The edges of the Preserve are still sought for active development - an issue that threatens the integrity of the habitats therein and the wildlife movement of mammals, reptiles, amphibians, insects, and even birds. We'll get a look into a very special area from the vernal pools atop the mesa to the riparian creeks, the coastal sage scrub, and tunnels through the coastal chaparral. Inside the Preserve, the area is popular with mountain bikers and hikers though it often has very few people about given the difficulty in public access points. Join us at the stunningly beautiful and well-preserved Silverwood Wildlife Sanctuary in East San Diego County. The Audubon Society's 785 acre property began 1965 with the donation of 85 acres and continues as a refuge in perpetuity for birds and other wildlife like reptiles, butterflies, pollinators, and mammals. The reserve manager of the Sanctuary, Phil Lambert, will take us briefly through the history and focus of the Sanctuary, and then lead us through riparian woodland and chaparral to view the plants within and the habitat's inhabitants. This is an opportunity to see inside a long standing research area and get as much or as little knowledge from it you want. Phil has a wealth of information and I will also assist in identifying spring plants too, so come curious! Or, if you just want to experience a relaxing shady trail on a warm spring day surrounded by birdsong, you should come as well. 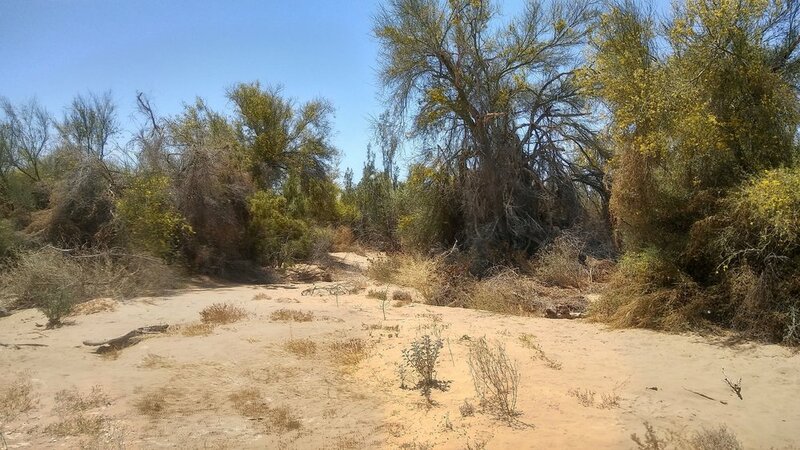 Imperial County is a large and sparsely explored botanical mystery to most, especially in areas that would appear at first glance to be inhospitable to life. When most people hear of Glamis and the Imperial Sand Dunes, the thoughts of people riding over sand dunes in buggies and ATVs comes to mind, running over the desert at a quick enough pace that the heat is calmed by a breeze of their own making. A deeper look uncovers a place that is very complex and amazing to study. The Dunes are a location set within an environmental duality, where temperatures can vacillate wildly between night and day, where moisture is both absent and surprisingly common, and extreme adaptations are required to survive. Easter is on April Fools Day this year and we're going to head up to Guatay Mountain in the Cleveland National Forest for our very own Easter egg hunt! The April Fool's is that the eggs are rare plants and there's no guarantee they will be in bloom. 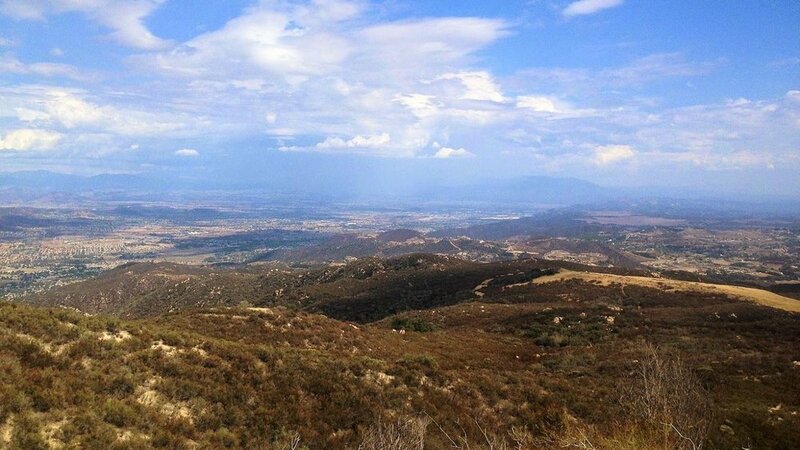 Jenny Moore, the Forest Botanist for the Forest Service will assist leading us to the top of the mountain for a great view of East County San Diego. This hike is open to any professionals who have collected before and know how to key rares and log them into the SD Plant Atlas / iNaturalist. Apologies to any who are just learning the ropes, this area is very sensitive and a portion of the trip will be off trail in sensitive habitat, so the discussions and rules will be very technical. Experienced California Native Plant Society (CNPS) members and professional biologists are highly encouraged to attend. EASY to MODERATE Hiking, No Parking fees or passes required. For those you you who went to Torrey Pines Extension last September, we covered the Red Ridge Trail and went down along the Margaret Fleming Nature Trail, finding many late bloomers and rare species along the way. This trip will take the same route to get another look, this time with spring annuals and a lot more blooming perennials. For everyone who might be experiencing this less traveled walk for the first time, this is certainly the best time of year to do it. Along Red Ridge, there's a large patch of Scarlet larkspur (Delphinium cardinale) that should be in wondrous bloom, along with both Ceanothus species (C. tomentosus & c. verrucossus), the Del Mar Manzanita (Arctostaphylos glandulosa ssp crassifolia), sages (Salvia sps), monkeyflowers (Diplaucus / Mimulus sps), and Encelia (Encelia californica). Annuals we're hoping to find are the snapdragons (Antirrihinum sps), phacelias, poppies (Eschscholzia californica), hooked pincushion (Navarettia hamata ssp leptantha) and sun cups (Cammissioniopsis bistorta), among many others. This is another nursery tour, this time set within the start of Spring where we'll be treated with an inside look at the commercial operations at RECON native plant nursery. Patrick and the staff of the employee owned company have graciously given us access. For anyone who missed the Moosa Creek tour, this is your chance is see how the professionals get their native plants to grow in pots so well! For everyone that attended the Moosa Creek tour last November, this is a great opportunity to compare and contrast methodologies. PLANT KNOWLEDGE: Beginner to some expert terms. In the Southern-most part of our State, so close to Baja, rising above the houses of EastLake and East TJ - lies a bastion of chaparral covered slopes that is home to hundreds of native plant species, over 50 of which in the vicinity have been classified as rare. We'll head up in our trucks to stop at many short hikes into the chaparral to find a motley assortment of native California flora. Otay Mountain doesn't just have it's own rare endemics, but is also within the loop of Northern Baja species that aren't really known to come any further north into the US. I'm excited to see many species for the first time, so if you've been up here before and have special knowledge about the wilderness area, come enlighten everyone! Anyone who has experience with Baja species that occur on both sides of the map is certainly welcome - Baja members of CNPS, perhaps? 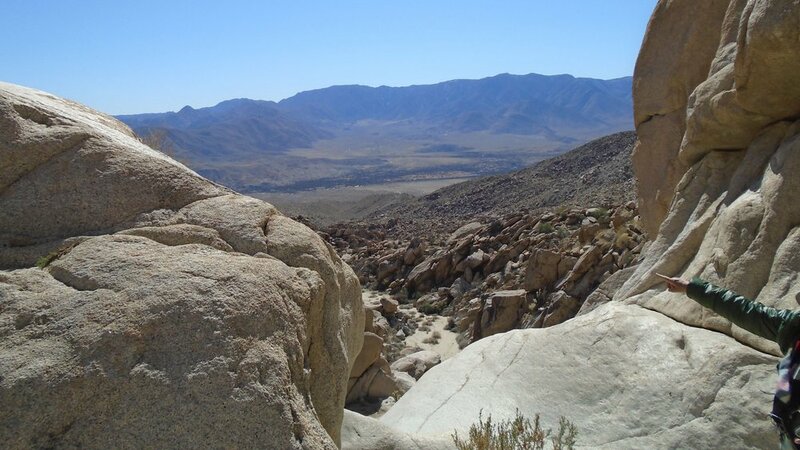 In contrast to our Plum Canyon hike in Anza Borrego last month, we are heading now to Blair Valley and Pictograph Trail for (hopefully) some spring bloom. This trail isn't too far away from Plum Canyon, but the flora we'll encounter will be different. Larry Hendrickson has again agreed to grace us with his extraordinary knowledge and wit. 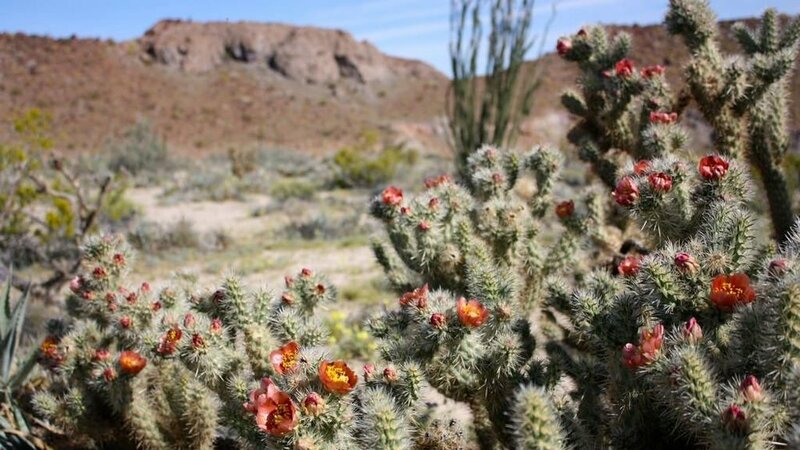 While this year won't be an Anza Borrego superbloom, there are always new things to discover. Plus, we won't have to deal with any crowds! Meeting earlier on this meetup to avoid the heat - it's already mid to high 80's in Borrego Springs in early February. We'll congregate near the outhouse by State Route 2 for introductions and head into Blair Valley from there.